It's been a geek-heaven kind of day. Director Zack Snyder just released what he called a "fan film," in response to J.J. Abrams' Batman v Superman Easter eggs in the promo leading up to The Force Awakens last year. 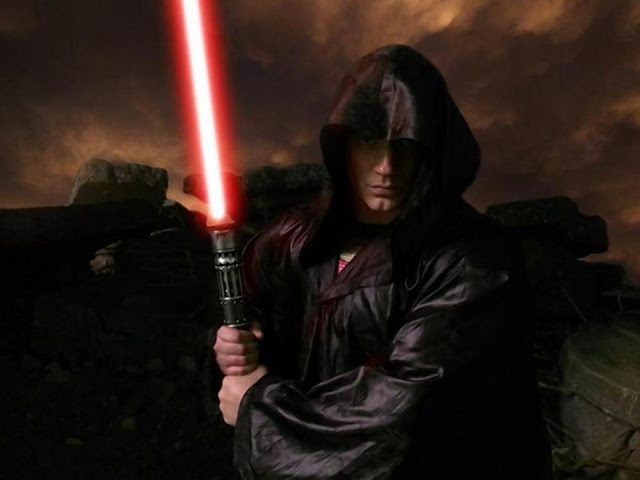 Zack's short film "Dark Knight v Super Jedi" is a classic compared to that.. It's a fan Easter egg freakout! The clip is filled with awesome references and comparisons relating to Supes..
Join Vero and follow the director's account there to check it out! -- We'll post it here if we see it online. UPDATE: Check out the video on Entertainment Weekly. We knew something was brewing, when Zack started posting Batman v Superman/Star Wars links. We're really hoping that means that a Justice League trailer is coming next week as rumored, attached to the release of Rogue One. "Tell me, do you embrace the dark side?.. You will." All images: Zack Snyder/Warner Bros.